How to make Torrent Power Bill Payment Online? Are you the consumer of Torrent Power? Do you want to know how to pay torrent power bill payment? If yes, this post is for you. Online bill payment is the more convenient way to complete your torrent bill payment. Torrent Power Ltd is an electricity generation and distribution company in India. Currently, it is operating in 3 states Gujarat, Maharashtra and Uttar Pradesh. It is distributing the electricity to their consumers in Agra, Ahmedabad, Gandhinagar and Surat. 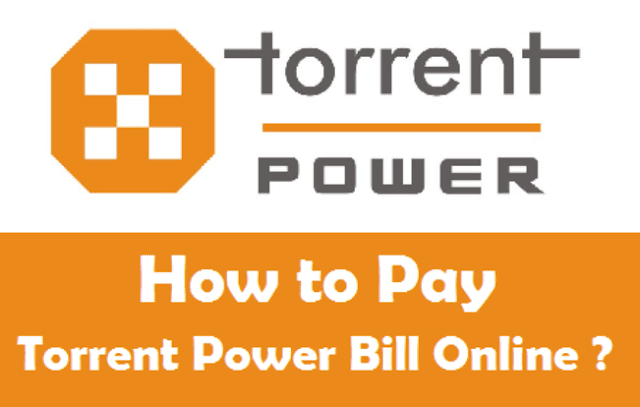 From this post, I have shared the simple ways to pay torrent bill payment online through official torrentpower.com login with easily. It does not take more than 2 to 3 minutes to complete torrent power online payment. Before going start to make the torrent power online payment process, you should have Service Number of Torrent Power Company Ltd. You can find it from your previous paid bills or service card. 1. 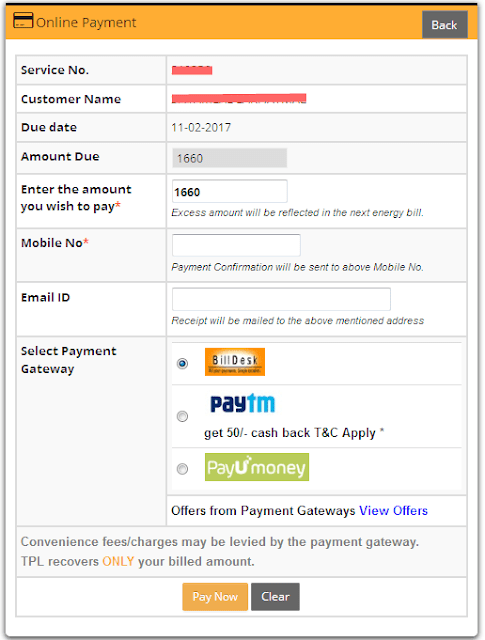 Click here to reach torrent power bill payment official portal connect.torrentpower.com. Choose 'Quick Pay' option in the screen. 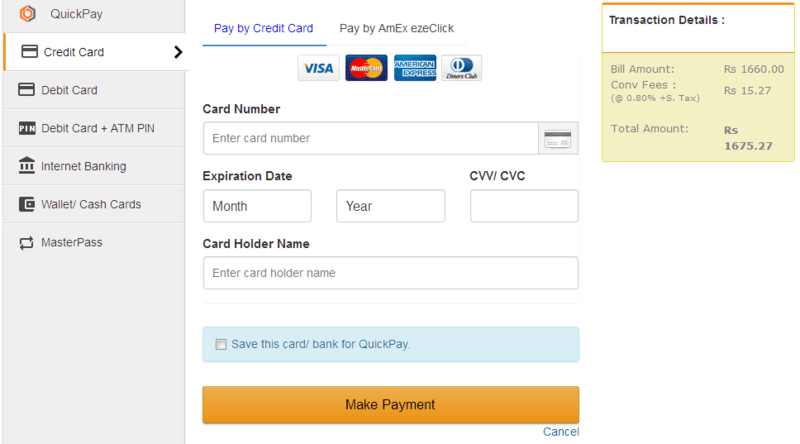 It will redirected to 'Quick Pay' page. 2. Now, Choose your City from the drop-down menu and Enter the Service Number of Torrent Power. 3. Click the 'View' button to know the Electricity bill amount. 4. If you are already logged in, you directly click the 'Online Payment' option present in your right side of the page. Consumer's Name and their usage bill amount details will be displayed. 5. Enter the amount that you wish to pay. 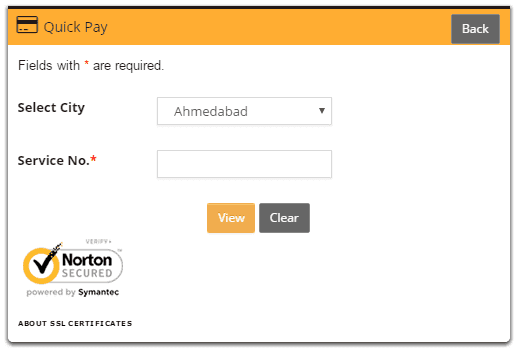 Also enter the Mobile number and Email Id to receive the payment conformation message & Receipt. 6. Choose any one of the payment gateway from Bill Desk, Paytm and PayUmoney. Select any one of your convenient payment method of Credit Card / Debit Card / Net Banking / Wallet. Click ‘Pay Now’ to view amount payable. 7. Click ‘Make Payment’ to complete your torrent power bill payment. Once you click, the control will be redirected to the payment authorization page. 8. Now, you will need to go ahead and Authorize the payment by entering you banking details. After completing the torrent power online payment, you will receive Confirmation & Transaction ID. Torrent power ltd has the online wallet payment option in the consumer portal to pay torrent bill payment. The online wallets are offering discounts & cashback for your torrent power bill payment. You can see the 'View Offers' option present in step 3 image. Click the link to check the latest torrent power bill payment Offers & Transaction Charges of each payment methods. I hope this post was surely cleared your doubts regrading torrent bill payment. Still you have any doubts or any other suggestion related to this post you can share with me through comment section in the below.